Even at 108 years old, America’s oldest living military veteran is enjoying the spotlight on his service and doesn’t seem to be slowing down. Richard Overton, an Army veteran of World War II now living in Austin, Texas, still enjoys cigars and whiskey. 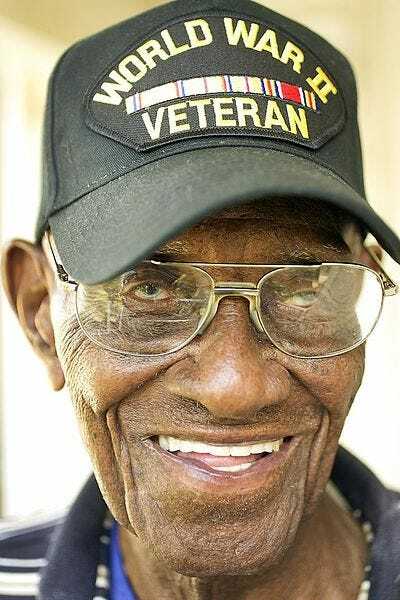 Born May 11, 1906, he’s believed to be the oldest living veteran, although it’s impossible to verify since not all veterans are registered with the Department of Veterans Affairs. He served in the South Pacific during the war before selling furniture in Austin after discharge and later working in the state Treasurer’s Office, according to The Chronicle. “I’ve gotten so many letters and so many thank yous and I enjoy every bit of it, but I’m still going to enjoy some more,” Overton, who is planning a visit with President Obama next week, told The Chronicle. Paul Szoldra originally wrote this report.